Robert Shin is Acre Woods Eastwood’s ever-smiling and friendly Centre Manager. Having spent eight years in the early childhood sector, he’s passionate about children’s learning and development and loves the time he gets to spend with them each day. He speaks Japanese, is a huge Arsenal supporter and has big plans for this early learning centre in the new year. We take two minutes with Robert to find out more. Tell us a bit about your career background. Graduating from an Arts degree majoring in Japanese, childcare was definitely not in the plans. I began my career doing private tutoring, then switched to retail and then hospitality. A close friend suggested the idea of early childhood and there my childcare career began. It has been eight years since I first started as an Educator to a Room Leader to a 2IC and now Director. It has been an amazing eight years so far and my passion for working with young children and families still continues to grow. What has been one of the highlights of your career so far? It’s really hard to pinpoint the biggest highlight of my career, but the eight years of working in the industry has been a highlight on its own. Starting right from the beginning as an educator building experience and gaining knowledge through different families, educators, teams and centres, it has really helped me to become the person I am today. Why did you decide to pursue early childhood education? I used to be a voluntary catechist at my local church and there my friend suggested the idea of working in early childhood education. I have not looked back ever since. What’s one of your favourite things about working in early childhood education? Spending time with the children is definitely the time I love the most. After becoming a Director, the time I spend with children has diminished significantly, so every minute I spend in the rooms with the children, I give my all to them and treat all of them as if my own. Why is early childhood education important to you? I am a huge advocate for early childhood education and firmly believe that the first five years of a child’s life is the most important as it builds strong foundations for growth and development in their future. I want to ensure that every child has the best start in life as they all deserve the very best. Is there anything exciting you’ve got planned for Acre Woods Eastwood? Acre Woods Eastwood has exciting plans ahead for the new year. We are really hoping to make improvements to our outdoor environment and a revamped kitchen to be able to cook on-site. To finish this year off with a bang, we have organised an awesome Christmas Party for the families and a special graduation ceremony for the pre-schoolers going off to school next year. Children at Acre Woods Eastwood enjoying the loose parts resources. Where’s one place in the world you’d love to travel to? Switzerland has always been a place I would like to visit one day. Going to London to watch a football match at the Emirates is also a must-do on my bucket list as I am a huge Arsenal supporter. What’s one of your favourite childhood memories? I used to live literally next door to my primary school so we used to go play a lot at the school after hours especially at night on the weekends! We used to split up into teams and play cops and robbers. Sometimes we would notice the full moon out in the sky and we would think that something bad was going to happen so we would run back home, lock the door and take out our mum’s cooking utensils and wait silently for something to happen. Of course, nothing happened in the end! Tell us something that most people don’t know about you. Shoving things in through holes was probably one of my favourite things to do as a child and so putting things in through my nostrils and my ears was what I did best (nothing to be proud of). When I was in year 2, I was shoving scrunched up paper in through my ear and once I shoved it in too far that it didn’t come out. Months later, I get an excruciating pain in my ear and I get admitted to hospital for surgery. Now I have impaired hearing with that ear so can’t hear as well as my normal ear! 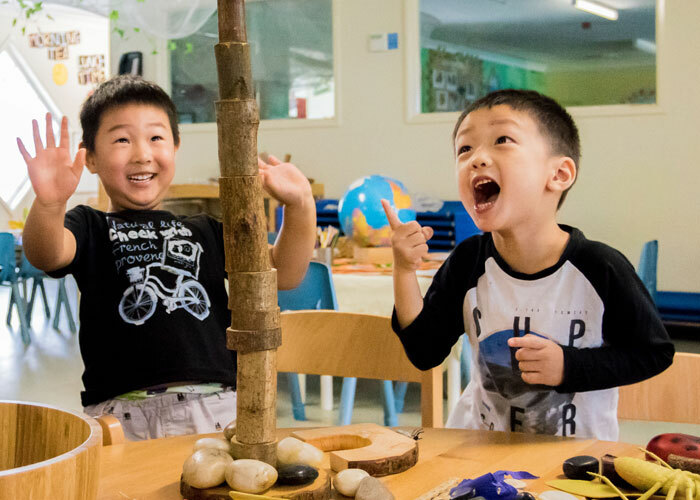 To find out more about this amazing early learning centre in Sydney, head here. Join our mailing list for monthly updates, articles and tips. We promise not to spam you!